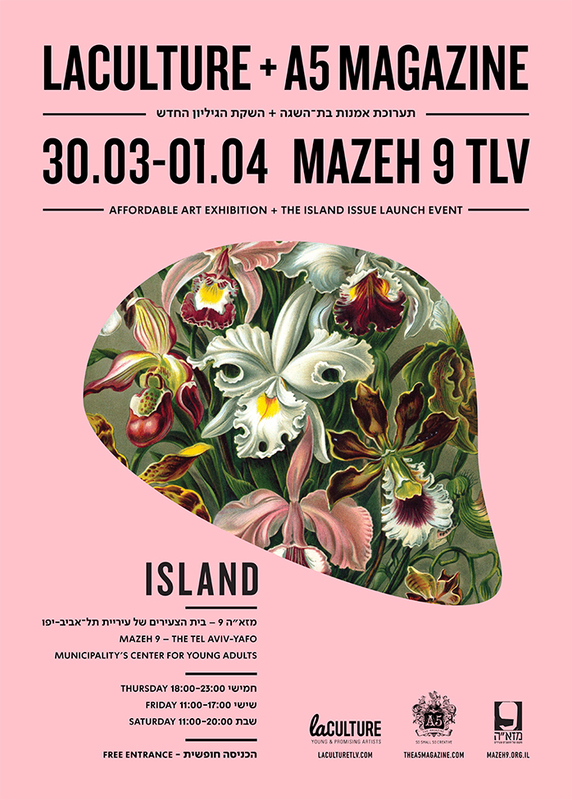 Finally we are launching the brand new Island issue! We are happy to invite you to our upcoming event, in special collaboration with The LaCULTURE Initiative for Affordable Art. The launching of the 15th issue of A5 Magazine, alongside an exhibition, will be held at Mazeh 9, Tel Aviv for 1 weekend only [!]. An exclusive A5 Magazine Pop-Up shop will be there, where you will be able to find the new and fresh issue, next to previous ones. So come join us in a lovely affordable cultural weekend at Mazeh 9!